The question of outlining in novel-writing is generally very polarizing. Some feel strongly that outlining hampers the creative process; otherwise swear it’s the necessary hand that holds ours through the duration of the first draft. Initially of the former camp, I wrote my first novel according to scenes that popped into my head out of nowhere and voices that felt whispered from some divine source. I paid homage to the writing gods and waiting for emotion and inspiration to drive me. What I did not consider enough, however, is how to drive the novel—and I wound up deleting over one hundred meandering pages. I have also experienced the opposite extreme. I once took on a work-for hire project that required me to write a novel based on a 40-page (single spaced) outline that someone else created for me. The outline was 1/3 the length of the novel and so detailed that it occasionally provided bits of dialogue. It enumerated everything from characters’ favorite breakfasts to their morning routes to school. It left zero room for creative freedom and perfectly illustrated the way in which an outline doesn’t always translate easily to the page. I deleted 50+ pages of awkward transitions that seemed A-okay in the outline itself but felt off when the characters finally came to life. 2.) Create a 3-Act structure. 3.) Fill in emotional and plot beats. 4.) Jot notes/ideas/inspiration (as they come) within the 3-Act structure. 5.) Optional: create a chapter breakdown. The concept line I started with was this: Annie, a live-in nanny for a wealthy San Francisco family, is slowly driven mad by her nefarious employer—who holds a dark secret. You DO need to know your concept in order to create an initial outline. You DO NOT need to have more than a few vague ideas about your plot. (For example, I did not yet know what the “dark secret” was going to be.) Your concept should clearly summarize the story you want to tell in one specific sentence. There is a very big difference between concept and topic/theme. So, “madness” cannot be a concept. Nor can “nannying” or “manipulation.” It can take some time to nail your concept—but it’s the hardest part. Once you have a concept, you already possess the general framework for a story. A simple model for outlining a novel is to break your story into three parts. In Act I, something big happens that sets the novel in motion. Act II is the unfolding action—everything that results from the Big Moment in Act I. At the end of Act II, we have a major revelation or climax that leads into Act III: resolution. -open with Annie (protagonist) in her OLD LIFE (Detroit). -Annie moves to NEW LIFE (San Francisco)—end on dramatic moment in which she is dazzled by her new “family’s” wealth, i.e. the first time she sees their sprawling mansion. -Annie runs into evidence that something is amiss. Rationalizes evidence. -Libby finds out that Annie saw evidence. Later, you can add more character and plot details to your outline, which should ultimately serve as a place for structuring your notes and ideas into usable form. So if you have an idea for the way “Annie meets love interest,” write it in. (I.e. Annie wipes out on pool patio and cute next door neighbor rushes to her aid.) It then unfolds into a scene. Your initial outline may be even less detailed than the above. It may use placeholder terms such as, “big emotional moment” or “clue is revealed.” You may not stumble across the exact nature of that moment or that clue until after you’ve written a chapter or two—but you’ll know exactly when in your draft you should be hitting these points, because you’ll be able to see clearly (via the outline) where the action picks up and slows. And you’ll know to build toward big moments from the beginning. These important structural and emotional “beats” in your novel will keep you from going off on tangents that seems fascinating at the time but stretch for 30 pages and ultimately derail your plot. What’s going on? Is it possible she imagined the entire thing? The ending is decidedly ambiguous, leaving readers wondering whether Annie will ever be released and reunited with Owen. What’s more, it’s not clear whether Annie is truly insane. Is the story of Libby’s dark secret the truth? Or is it the wildest of Annie’s delusions? I clearly did not have these questions answered for myself—and yet I had a point to work toward and questions to address within the text. (Incidentally, loose-outlining is not risk-free! I wound up writing three separate endings before my editor was happy.) A loose outline is like a map: it guides you to the point you eventually want to reach and keeps you from veering off track. But what you’ll discover along the way? That comes later, and that’s the fun of it. Anna Collomore--a devotee of dairy products, small mammals, and thrift stores--is a former book editor from New York City. 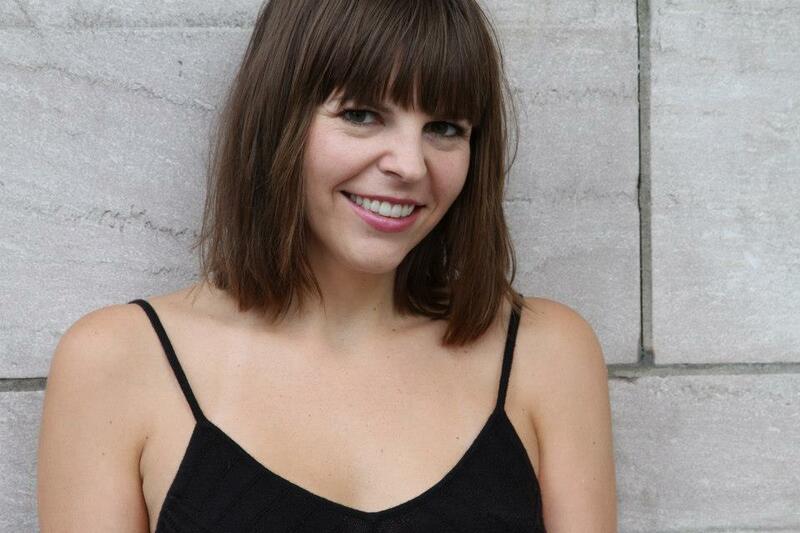 Now she lives, writes, and au pairs in Paris. 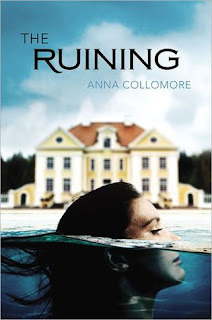 Find out more about Anna and The Ruining at www.annacollomore.com. I love your ideas on outlining AND taking the pressure off when we don't know the ending right away OR some of the answers to the big questions. Love the book concept. I need to read it. I envy those of you who can outline. I really do. I always have a loose plot idea in my head but never more than that when I set out to write. On a more exciting side note -- LOVE the blurb about The Ruining "...complex ride through first love, chilling manipulation, and the terrifying depths of insanity." I HAVE to read it now. I'm not an outliner and don't know if I ever will be, but found this interesting and informative. I am fascinated by the blurb on The Ruining and it's on my TBR list. i love adventurs .....great post thank for sharing.